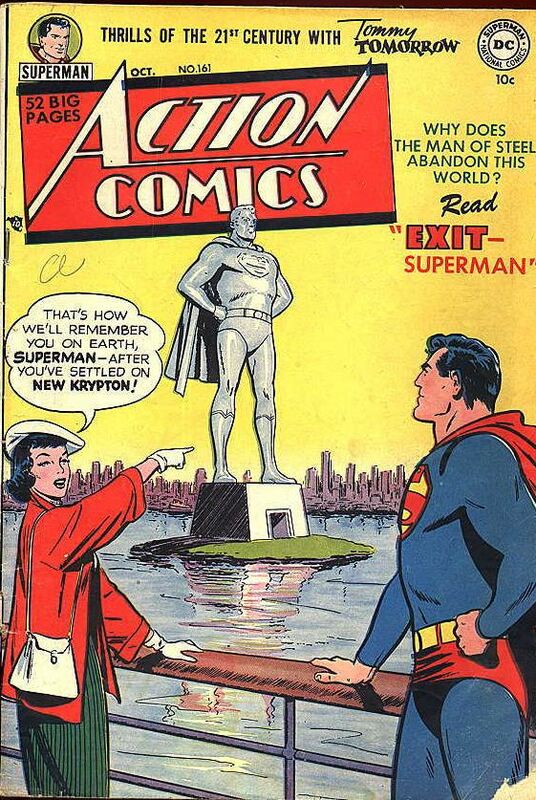 Lois Lane was there from the beginning, and rightly so, for without Lois there's no reason for a Superman. 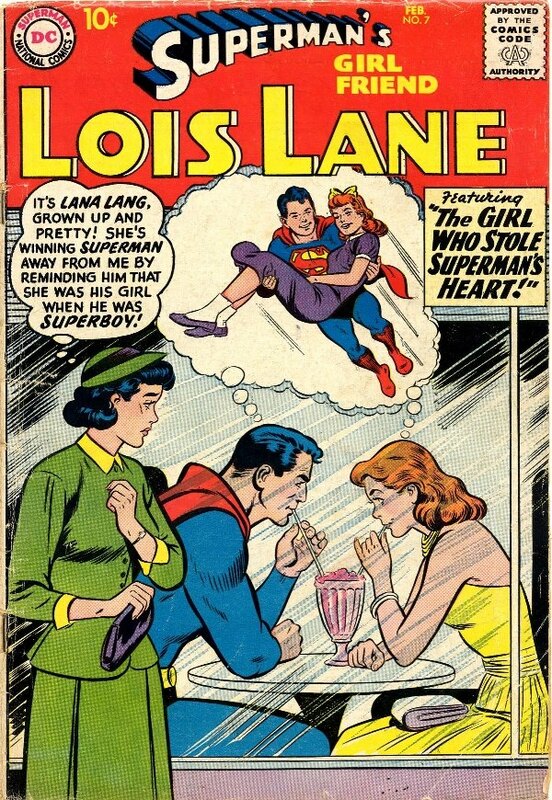 As originally portrayed by Jerry Siegel and Joe Shuster, Lois was the advice to the lovelorn columnist for the Daily Star and hopelessly out of Clark's league for romance. Shuster's Lois was noted for her glamourous 30's flapper look. 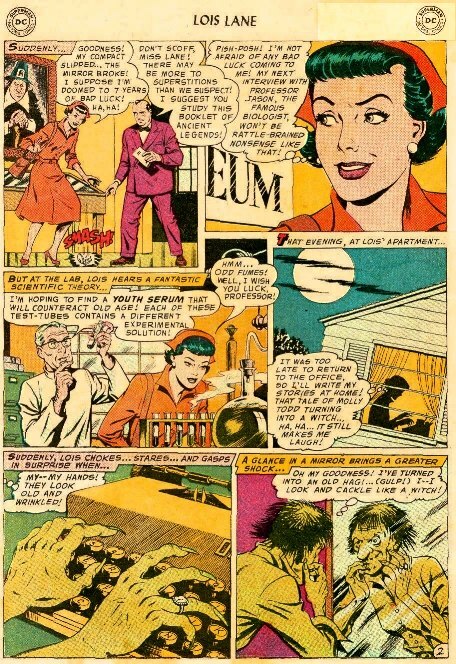 Lois Lane was an integral part of the Superman radio show which began in February 1940. Intially Lois was played by Rolle Bester, then Helen Choate. Then she was dropped from the show altogether in favor of a Clark/Jimmy adventure show that wandered far from the Daily Planet to the South Seas, a la Terry and the Pirates. Finally Joan Alexander joined Bud Collyer and crew to form the permanent cast of the show up until 1949. 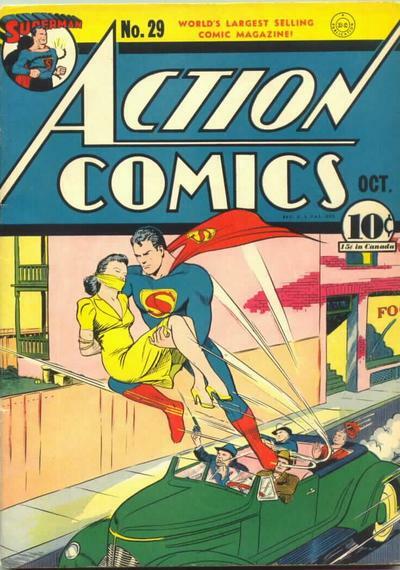 Lois made her first cover appearance on Action 29, in October 1940. Here drawn by Wayne Boring. 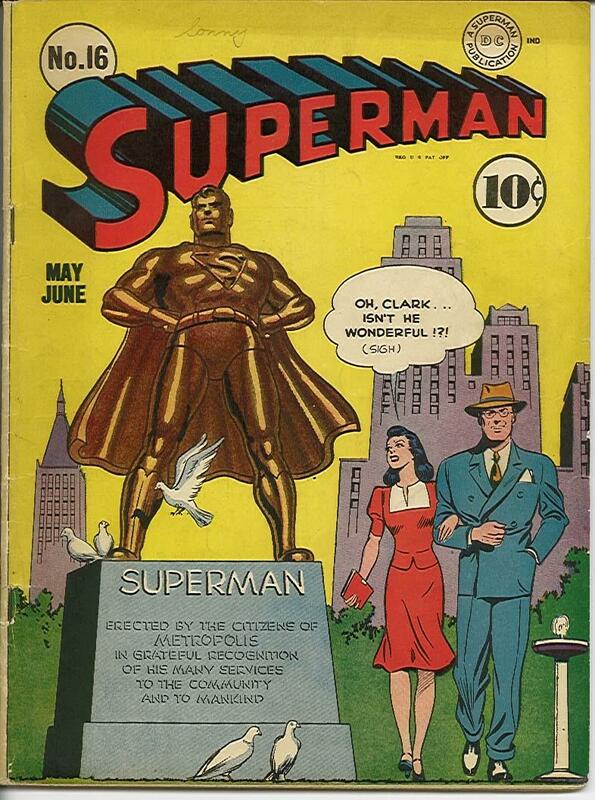 Lois's first Superman cover from June 1942, by Jack Burnley, shows Lois sporting the shoulder-length hair that was typical of her forties look. (Win Mortimer) Lois lopped off her forties glamour girl tresses and made herself ready for the no- nonsense 50's. The classic version of Lois Lane for the sixties was first drawn by Kurt Schaffenberger in Lois Lane #1, here from Otto Binder's "The Witch of Metropolis", April 1958. She's got the perky cap and those pearl earrings! 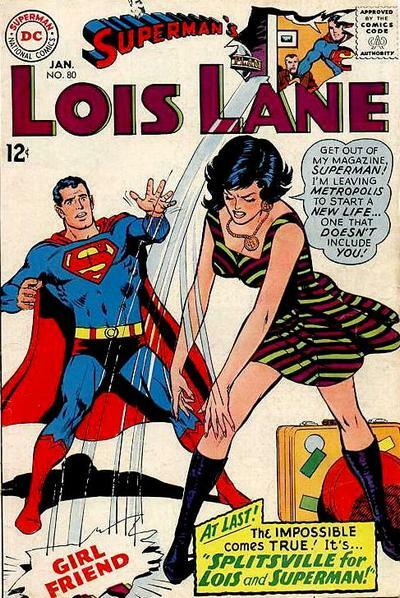 Lois dropped her demure 50's look in January 1968 to join the mod generation, courtesy of Neal Adams. Bob Oksner gives Lois back her long hair in Lois Lane 124 in July 1972. 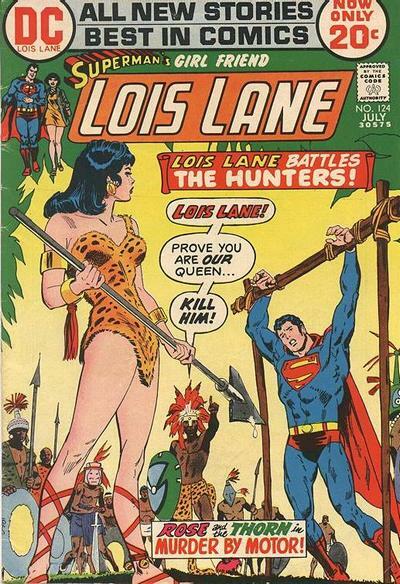 Of course Lois often gained super-powers in her own right and turned her obsession with Superman into a rivalry!